Lose It! is the world’s most fun and effective weight loss program! 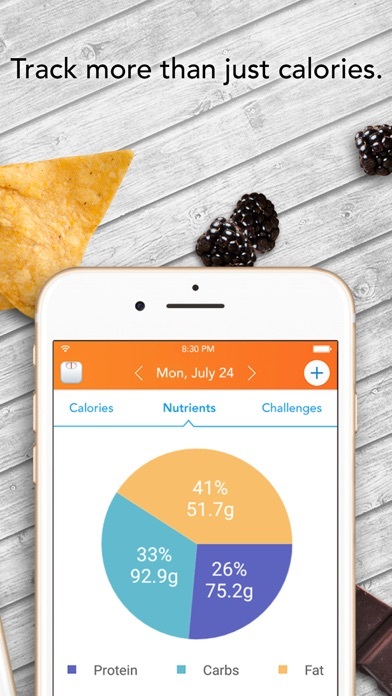 Simply download the app, set your goal, and track the foods you love to lose weight. WHAT PEOPLE ARE SAYING “Best calorie counting app! Very easy to use, barcode reader works every time. Links in with my iPhone to allow for steps. Can really recommend!” - App Store Review “This app has changed my life for good! 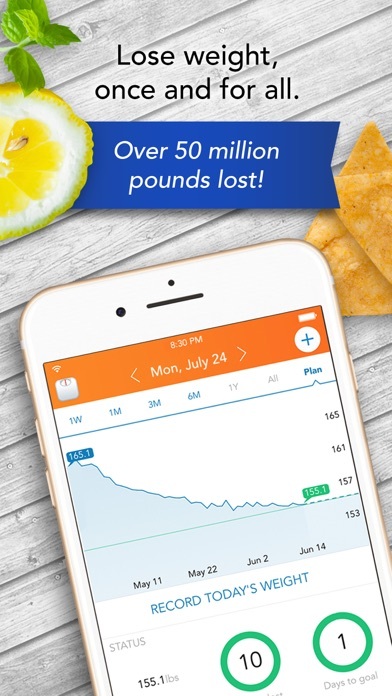 I lost 20 pounds in 45 days using this app. It keeps you in line and helps you find what foods help you live a better life. If you are considering using this app, please just try it out, and I promise it's worth it!!! !” - App Store Review SHOW ME THE NUMBERS * 60 million: Pounds Lose It! members have lost (and counting). We’ve got this DOWN. * 15 million+: Items in our comprehensive international food and exercise database * 35 million: Users who have started their weight loss journey with Lose It! * 74.7%: percent of people who have achieved clinically significant weight loss using Lose It! * 3 days: average number of days members track to see a weight loss HOW IT WORKS Lose It! uses proven principles of calorie tracking to help you succeed. It’s easy to get started: enter your profile details and goal weight, and we’ll calculate your daily calorie budget. Next, just track your food, weight, and activity and get ready to rock your goals! COOL LOSE IT! FEATURES * Quickly scan barcodes. 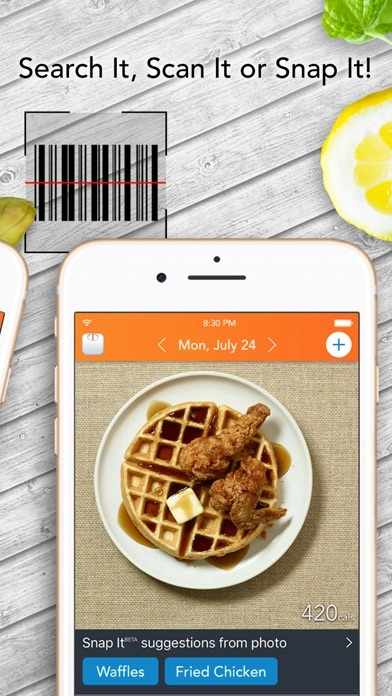 Search our database or use our quick Barcode Scanner to easily scan in foods you’ve eaten. * Log food by simply taking a photo with Snap It. Just tap the camera icon for food tracking that’s as easy as taking a picture (2016 CES Innovation Award Winner). * Connect your Fitbit and other trackers, apps, & devices. 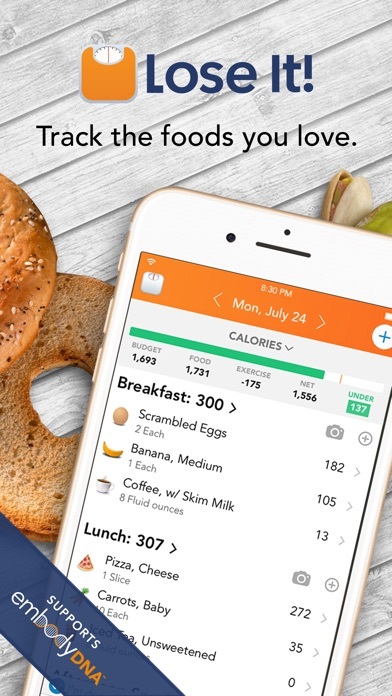 We sync with Misfit, Fitbit scales, Withings scales, Healthkit, and more * Dial in on your nutrients by setting custom goals for macronutrients, water, health, and body measurements. * Counting macros? With a helpful status bar, track your progress toward daily calorie and macronutrient goals at a glance. * Step up your game with fun weight loss, fruit/veggie, and exercise challenges. Create your own private challenge with friends, or join a public challenge for serious motivation! * Stay on track with Meal Targets, which calculates suggested calories per meal based on your plan to encourage more confident meal choices. * Plan ahead with Meal Planning. You can even customize your meal and snack names for more accurate records (Second breakfast, anyone?). * Do high fat breakfasts keep you on track? Learn about your habits with our exclusive personal Insights and Patterns to identify what’s helping (or hindering) your progress. (Lose It! basic is free, but you can upgrade to Premium to unlock awesome additional features. Premium members report 3x the weight loss of free members.) MORE TO LOVE ABOUT LOSE IT! * Supports embodyDNA, powered by Lose It! : personalized, DNA-based insights to help you learn which foods, drinks and activities could activate your weight loss and optimize everyday living. Get your results right in the Lose It! app on your iOS device! * It’s all for you: Lose It!’s mission is to mobilize the world to achieve a healthy weight. * Founded in 2008, Lose It! is headquartered in Boston, MA. It is currently available on many platforms, including iOS, Apple watch and web. Download Lose It! today, and you’ll see how easy it is to get started! http://loseit.com/terms/ Should you choose to purchase a Premium subscription, subscription purchase will be charged to your iTunes account. The yearly subscription will automatically renew unless the auto-renew is turned off at least 24 hours before the period subscription ends. Renewal price will be $39.99, unless a discount is specified at time of original purchase. Your premium subscription auto-renew can be turned off or managed in your iTunes account settings. Any unused portion of the free trial is forfeited after purchase. A big thing missing is the ability to sync with a Fitbit or Apple Watch to track steps. Love being able to scan items and find entrees from restaurants already included. I paid for the yearly membership but don’t feel like it was worth the cost. I bought the full version at nearly $40 only to find that it won’t work with my Fitbit. The ads claim you can track weight, steps, exercise etc but they don’t tell you it will be automatically imported only if you have an Apple Watch. Everything has to be manually entered on this app. That’s okay if you’re only tracking calories, but it’s an exorbitant price for just counting calories. Love this app. Very easy to use. Many of the foods I eat are in the database. Exercising counts. The only thing is that to enjoy the full benefits you’ll need to pay for the upgrade. I recommend the app. I really like this app. Even the free version is good enough. After a month of trying it for free, I’ll probably upgrade and check out all of the other features. The only dieting that works well for me is controlling calories. I simply need this app to app to do it. The more you use it, the easier it gets. 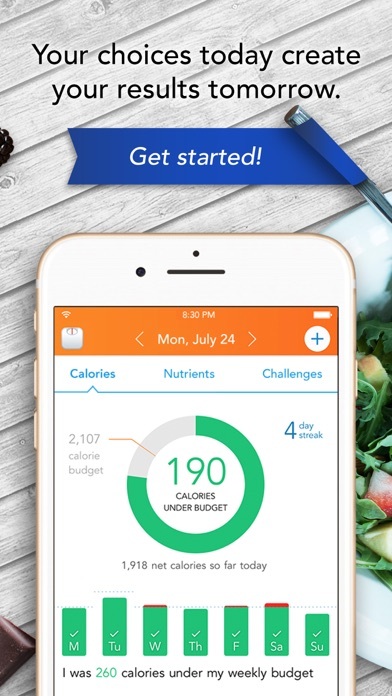 Well designed app that makes it easy to track weight, food and exercise. With many foods and types of exercise in the database one can quickly enter the information. Nice summaries of food values helps in tracking sodium, fat intake, etc. This is an awesome app. Makes it easy and fun to keep yourself on track. I would say it’s basically WW but in a free app! I’ve been using it for a week and lost 4 lbs. Thanks Lose It!!! Great app with all the tools to keep me tracking daily! I love the ability to scan the food packaging for calorie & nutritional counts!